​Currently, there are over 200 absinthe brands approved for sale in the USA. To meet approval standards, each absinthe is tested by the TTB (Alcohol & Tobacco Tax & Trade Bureau) and must to be "thujone free" (as per the FDA's regulation 21 CFR 172.510). Thujone free is defined as containing less than 10 parts per million of the ingredient thujone. So what is thujone and how is it related to the absinthe effect? Thujone acts on an area of the human brain responsible for alertness, lucidity and clarity. It causes this area of your brain to become more active and remain active even after consuming alcohol. ​The absinthe effect has been compared to experiencing life in HD. This is a perfect description of the effect as all of your senses feel heightened and slightly altered (psychotropic effects). It is also apparent that creative individuals and deep thinkers may be more prone to the effects of absinthe. Some of our most famous authors and artists were absinthe enthusiasts. Those who have tried many imported and US legal absinthe brands find the degree of absinthe effect can vary greatly from easily perceived and noticeable to nothing at all. Given that some absinthe brands exhibit effects while others do not is likely due to the variation in levels of thujone and other psychotropic substances found in different absinthe brands. Users report thujone extract will also yield the same feeling of stimulation. 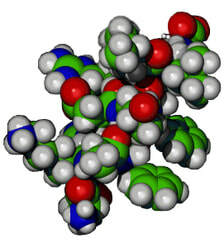 Thujone molecules interacts with the GABA-receptors in the brain. GABA is the bodies main inhibitory transmitter. When GABA interacts with the GABA receptor, it has a calming effect on the human brain. Benzodiazepines (Xanax, Valium, Ativan etc.) work exactly like GABA by interacting with the GABA receptor to cause a sedating effect. In the case of thujone molecules, they attach themselves to the GABA receptor in the same position GABA would blocking the receptor from GABA. When thujone blocks the GABA receptor, GABA cannot interact with it and your mind is maintained in a state of alertness. This fact, although proven years ago, is still not completely accepted by the absinthe community. It should also be noted that thujone is likley one of many psychoactive components to be found in absinthe. It is also likely that, along with the alcohol, the various psychoactive ingredients work with and/or against each other giving what Ted Breaux (Jade Absinthe) called a "Push-Pull" effect. Take a look at Not Only Thujone below. 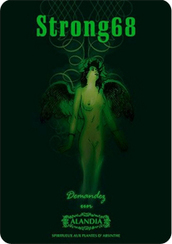 Studies debunking absinthe effects usually focus on thujone. We know there are several herbs used in absinthe production known to have effects on the CNS (central nervous system). It is possible that in differing concentrations and ratios these mind altering substances effect the human brain in a multitude of ways. It should be noted that when I say mind altering, I definitely do not mean hallucinogenic. It should also be considered that like any medication, the effects produced by thujone can vary greatly when considering the physiological variances between individuals. This means that you may feel an increased lucidity from drinking a certain absinthe brand while your friend does not. Once absinthe is studied on a large scale, we'll be better able to answer these questions. 1.) There are substances in absinthe that may have a CNS stimulating effect on some people. 2.) The thujone concentration of absinthe may be producing some, if not all, of what is known as the "Absinthe Effect". However, the extent of thujone's contribution to the absinthe effect is unknown. Any psychoactive effect produced by absinthe may be attributed to the absinthe's constituents or the individual drinkers physiology. 3.) An absinthe that has effects on you may not have an effect on another person.